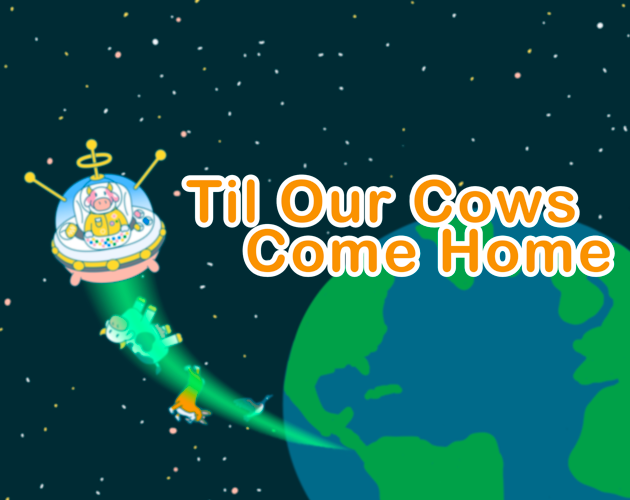 Till Our Cows Come Home is a Global Game Jam game that was made for the RVAGameJams event. You control a pink spacecow sent on a mission to collect and beam up all cows back to their home planet. Try to collect them as fast as possible, and lasso them into the teleporter in the middle (don't worry we've activated the elasticity in their genes, so no cows were hurt in the making of this game.) Build momentum and have fun bouncing them to salvation.